BetOnline is launching their new poker room and network and is currently accepting US players. The affiliate manager Luis Poveda from BetOnline Affiliates gives an interview to explain why he thinks they can grow their poker network where others have failed. Tell us about the new BetOnline poker room. What software & network is it using plus the signup bonuses you have for poker players. We recently purchased a poker platform so our players are able to play 24/7 from anywhere in the world. 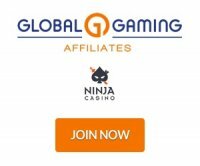 We are not running on a Network, it is a proprietary product; therefore we will be able to provide our players and affiliates with the best poker features in the near future. Our main goal has always been to deliver the most exciting and dynamic experience possible in online gaming; don’t expect anything less from our upcoming poker promotions. How do online poker players compare to sports bettors? Poker players are generally smarter and cooler and better looking than sports bettors. And often more successful at their trade too! There’s a direct correlation between good poker skills and great sports betting. Most likely because the poker guys really pay attention to details, do their homework, know their stuff…..
One of the toughest parts of starting a new network is building a player base. What are some of your marketing strategies for growing your network quickly to a healthy and sustainable level? You are 100% correct – building the player base is the biggest challenge. However, we already have a great head-start. Considering we have a sports book already in place with thousands of players, our poker room just gives these already existing players a place to enjoy poker. Of course our doors are wide open to new players as well – especially those poker players in the U.S. looking for a new home. Whether the player solely likes poker, or they like to get in on the action of poker, sports, casino and horses – BetOnline is the perfect destination. In order to have a great poker environment you need three things: players, action and funding methods. I am excited to say BetOnline Poker has each of the three covered, and then some.